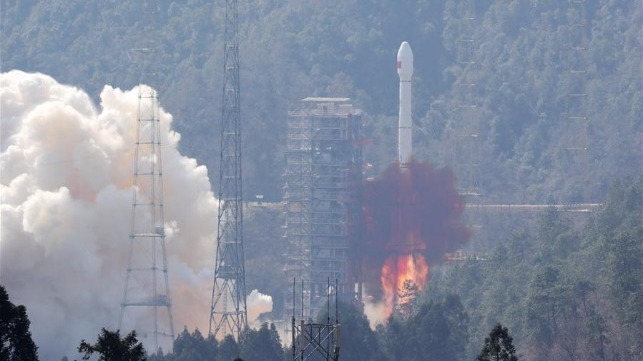 The first eight of 35 planned BeiDou-3 satellites have formed a functioning orbital network with a global positioning accuracy of five meters, according to a spokesman for the Chinese state-owned satellite company BeiDou Navigation Satellite System. 0 more Mid-Earth BeiDou-3 satellites and a geostationary Earth orbit satellite. Another 11 are planned between 2019-20: six medium-earth satellites, two geostationary satellites and three inclined satellites with geostationary orbit. The global navigation satellite constellation includes GPS (USA), GLONASS (Russia), Galileo (Europe) and China's BeiDou including BeiDou-2. Compared to previous generations, BeiDou-3 can send signals that are more compatible with other satellite navigation systems and provide satellite-based extension, search and rescue services to international standards. In the future, the BeiDou 3 system will also coordinate with other technologies such as remote sensing, the Internet, big data and cloud computing. China will be the highest number of satellites in the Asia-Pacific region by the end of 2018, Guo Xinping, CEO of UniStrong Science and Technology, a Shenzhen-listed company for navigation and positioning, the "Global Times"
the Name "The Big Dipper" The BeiDou project was officially launched in 1994. It started in 2000 in China and at the end of 2012 in the Asia-Pacific region.